K38 Argon Triple Point Cell & Maintenance System — Pond Engineering Laboratories, Inc.
First introduced in 1996, Pond Engineering's integrated Argon Triple Point cell and maintenance system allows users to realize this ITS-90 Fixed Point according to NIST Technical Note 1265 for cryogenic fixed points with an uncertainty better than 0.35 mK when used with quartz envelope long stem or capsule Standard Platinum Resistance Thermometer (SPRTs). The self-contained system incorporates an internal storage dewar which holds approximately 2.5 L of liquid nitrogen. Once cooled and frozen, the volume of liquid nitrogen in the internal storage dewar is sufficient to realize the triple point and maintain the cell on plateau for several hours. To calibrate multiple thermometers on a single plateau or to extend the plateau, users simply add liquid nitrogen to the internal storage dewar during the maintenance stage. The sealed cryogenic cell contains approximately 1.7 moles of .999 999 pure Argon. Rapid cool down, freeze and stabilization times coupled with integrated system prompts help users realize the point quickly and easily. Microprocessor-based controls give the user access to realization functions, system setpoints, sensor calibration functions and system variables. 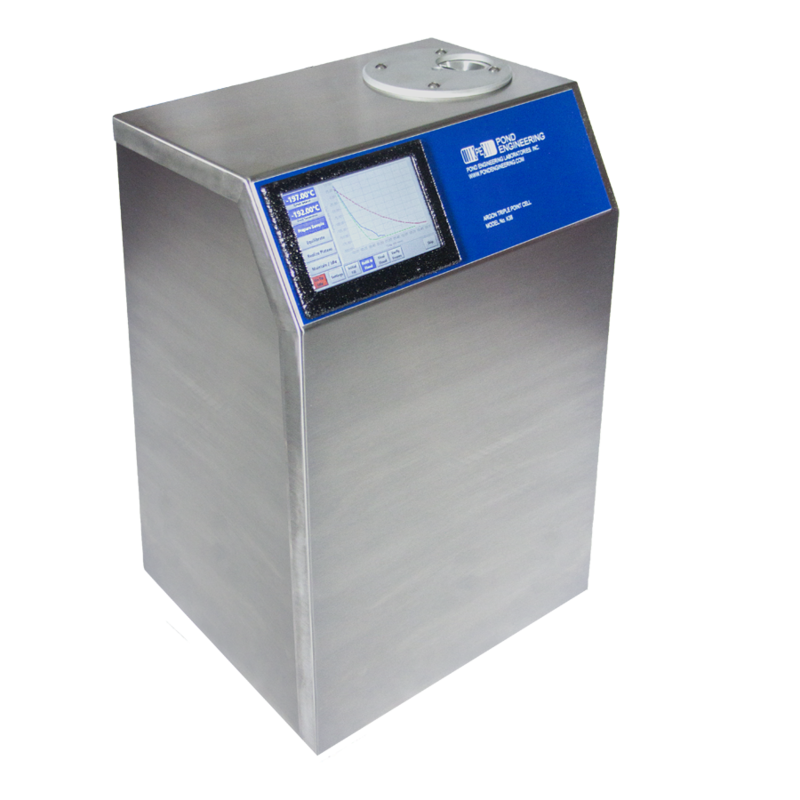 New and improved user interface on a sloping front panel provides convenient system control, along with step-by-step instructions and training on a 5-inch touch screen. Optional remote interface (RS-232 or USB) allows users to integrate the K38 into an automated calibration system. Communication software available for either interface option allows users to monitor and configure the system from any remote computer with a graphical user interface. Since the defined Triple Point conditions can only exist at the solid-liquid-gas interface under the triple point pressure, a hydrostatic head correction must be applied to the theoretical triple point temperature to establish the temperature at the effective sensing point of the thermometer used in the cell. A user manual included with each cell includes data characterizing the cell's geometry and the cell's hydrostatic head correction.